It’s about time for the flowers to bloom, and the kites to fly! Can you find all the words while you get ready for spring? 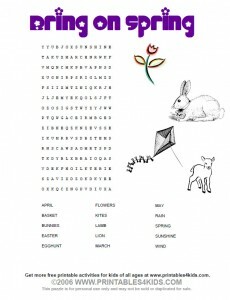 Click on the image to view and print the Get Ready for Spring Word Search full size or download the Get Ready For Spring Wordsearch as a PDF file. I think this website is great for children of all ages.